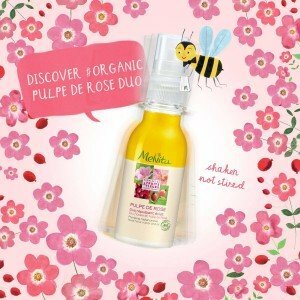 For its new organic skincare range, designed to target the first signs of ageing, Melvita Research called on one of its most cherished active ingredients: the wild rose. For the first time, Melvita has combined the moisturizing power of wild rose petals with the rose’s vitamin-rich fruit: the rose hip. In addition to its energizing sugars and antioxidant components, this fruit has a spectacular Vitamin C content: 30 times higher than that of an orange!